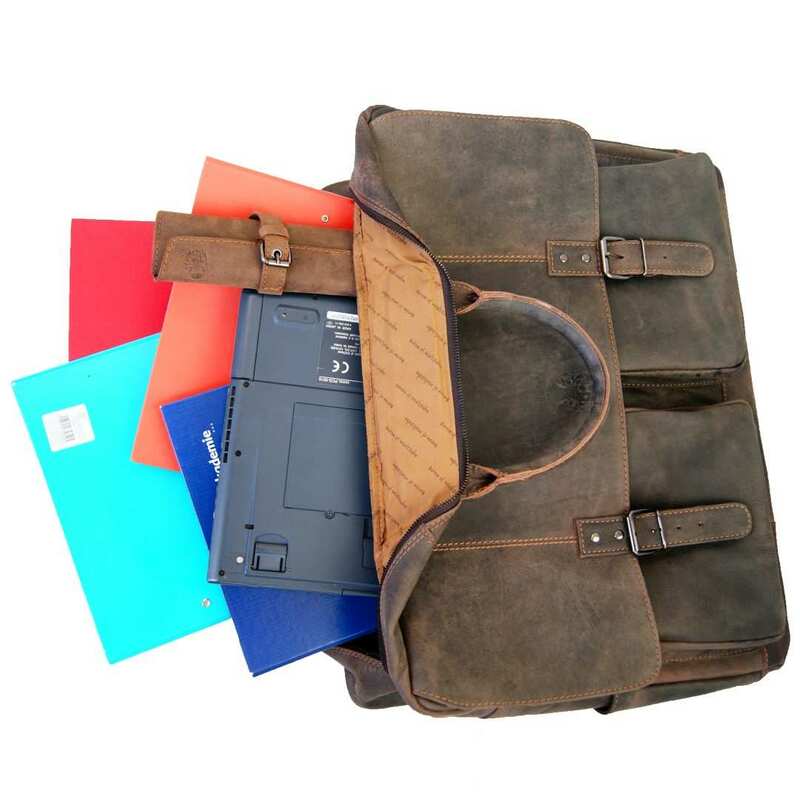 Product information "21 inch briefcase VAN GOGH of buffalo leather"
With the huge 21 inch briefcase VAN GOGH of buffalo leather you can transport your laptop very safely and stylishly and also travel comfortably. Take a look at the biggest briefcase of the world! 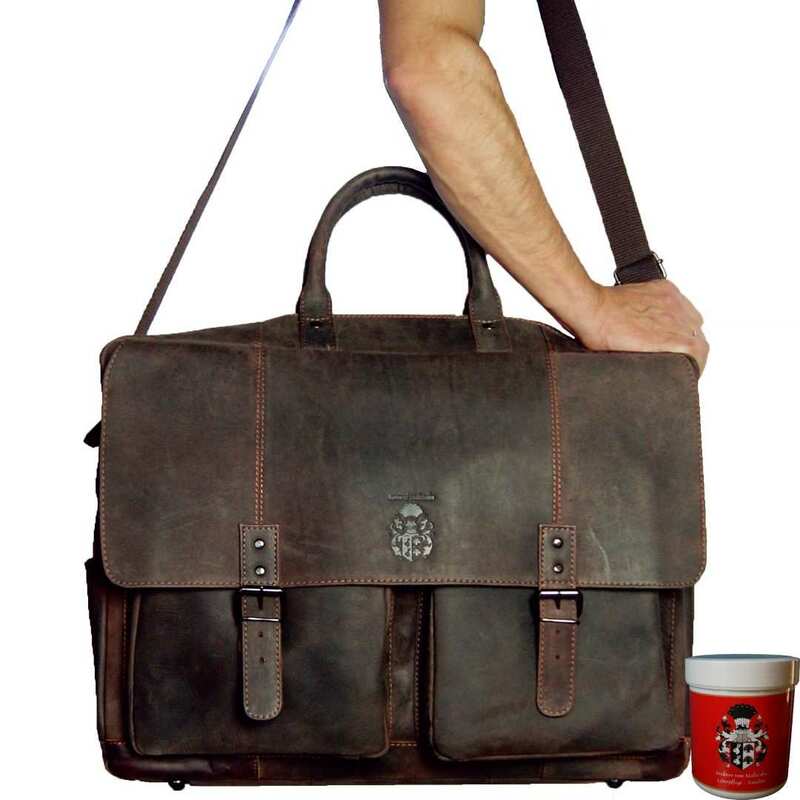 The 21 inch briefcase made of buffalo leather is the perfect companion for those long office days or for short trips. In this bag you can easily store your 21 inch laptop and other important belongings. Yet this bag does not only offer much room for your items, but also a very sophisticated design. It is made of thick buffalo leather and has many small details which will make it very attractive for everyone. 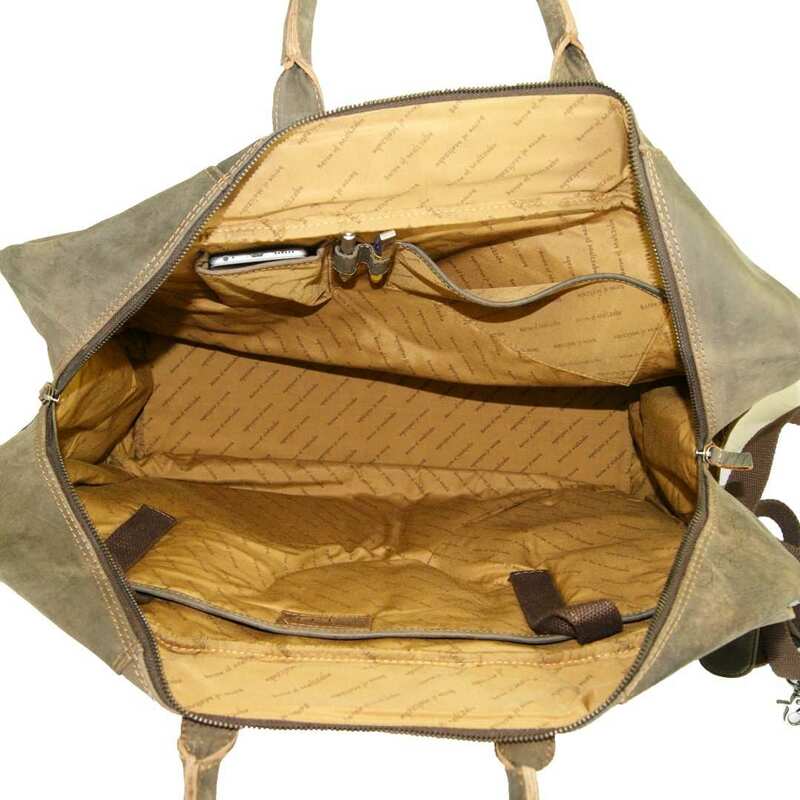 The business bag of the Collection BARON of MALTZAHN convinces with its design and high functionality. 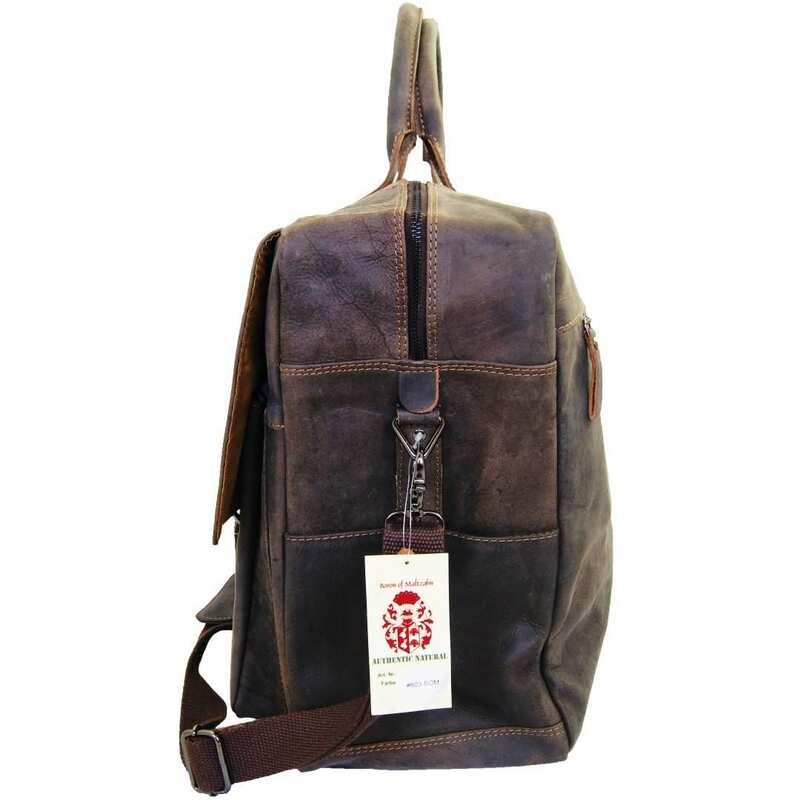 The bag is made by hand of thick, natural vegetable tanned buffalo leather. The sturdy handle and the beautiful buckles give the briefcase a noble and nostalgic look. The inner compartments are lined with a fine golden coloured fabric and the crest of the designer is embossed on the front side. The total dimensions of the briefcase of buffalo leather are 22.4 x 9.4 x 15.7 in (57 x 24 x 40 cm) and therefore you will find enough space to carry your 21 inch laptop and many more things in it. 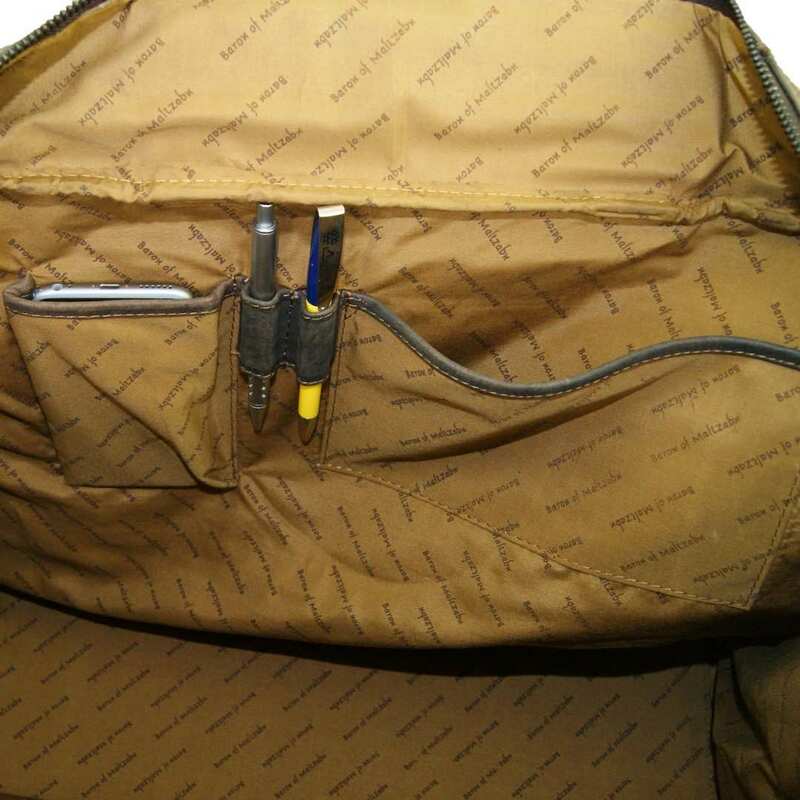 The spacious main compartment is provided with smaller pockets and pen loops. That way, every item will be well arranged in this bag. 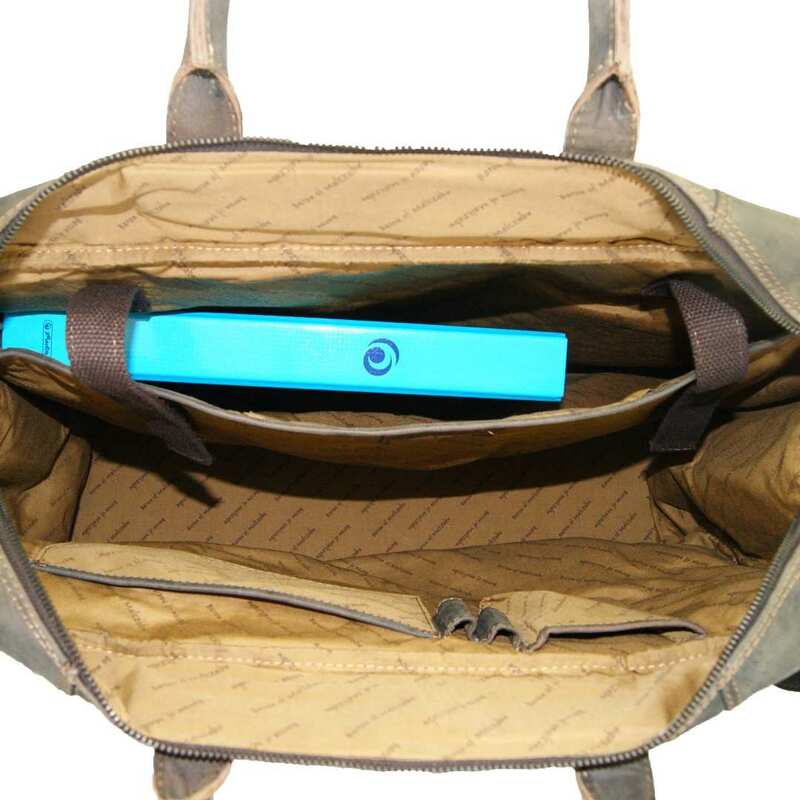 Of course, you can also use the front pockets available. The briefcase has a 59.1 in (150 cm) long shoulder strap that can be adjusted to your preferred size. Take good care of this big business bag and let it accompany you for many years. 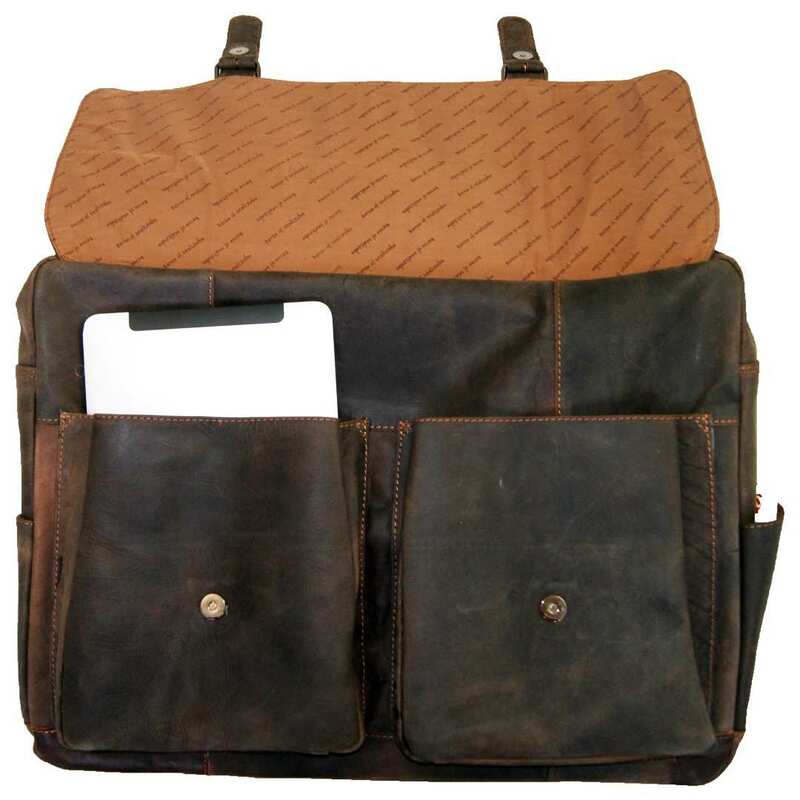 Pamper yourself with this fantastic large 21 inch business bag made of buffalo leather. It is a big opportunity! 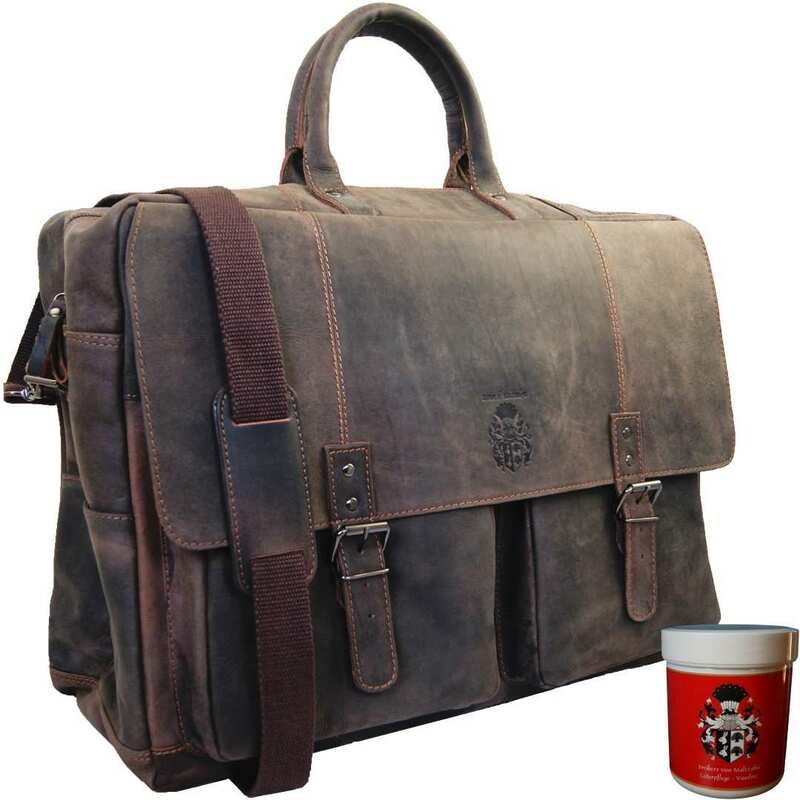 Reviews for "21 inch briefcase VAN GOGH of buffalo leather"